Drain cleaning is another thing that our technicians are able to easily handle for you. When you have dirty drains that are filled with clogs, it can really mess with your routine when you have to work around these malfunctions. 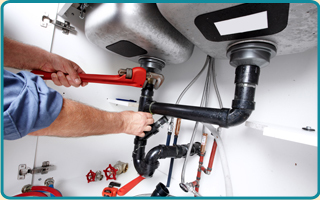 Instead of incorporating this into your life, make a change by calling Plumbing of Richmond. Have you been having a lot of people over to your residence lately to hang out? While this can be very fun depending on the environment, you might be doing some damage to your drains that you are not realizing. If your buddies from high school are pouring oils and greases down your sink, you might want a drain cleaning. Though this is something that might get under your skin, you’ll be in good hands as long as Plumbing of Richmond is still in business. A drain cleaning is something that our professionals have been performing for a long time. 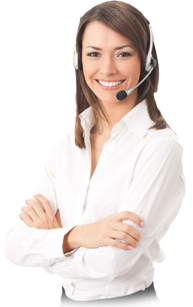 You’ll never have to be unsure about your level of service because we have your back. Did you know that clogs can really mess up your residential or commercial drainage? You may have spent a lot of money on cleansing products at the local supermarket, but these might not always get the job done. When you have blockage around, a drain cleaning is the best solution. 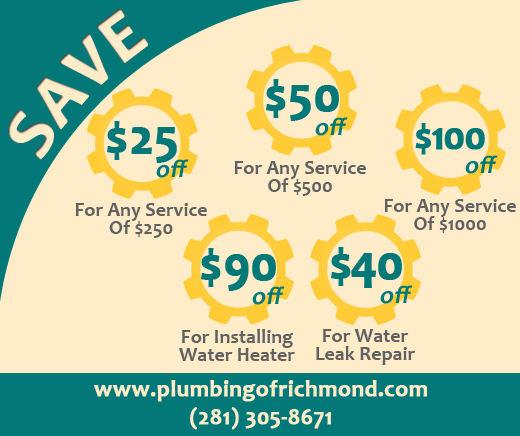 When you reach out to Plumbing of Richmond Texas, you won’t have to stress out about paying a lot of money for your drain cleaning. We have a lot of online coupon codes available on our homepage, and on top of that our rates are some of the lowest in the region! Call us today for a free estimate.